NFC interactor is a powerful Near Field Communication tag reader / writer app, aimed at enthusiasts and developers. 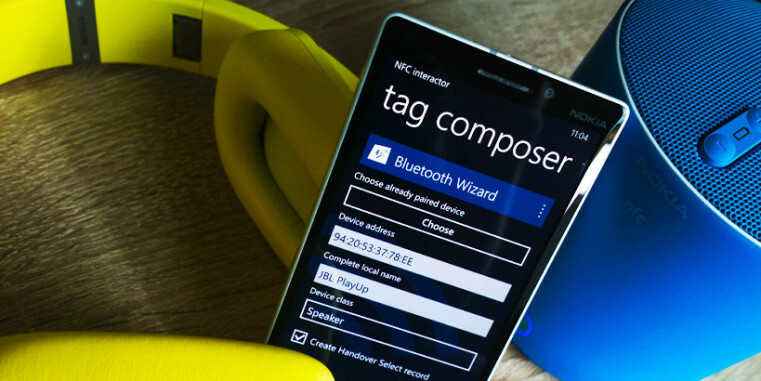 Tap NFC tags to analyze their real contents. 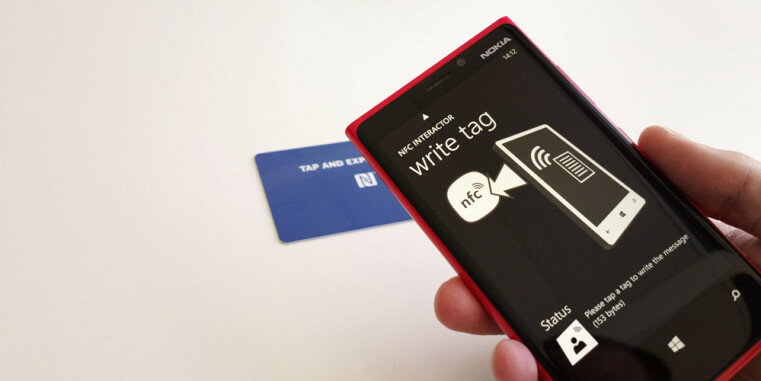 NFC interactor will instantly tell you the writable tag size and parse standardized NDEF messages to human readable form. Compose your own NDEF messages by combining one or more NDEF records using the dynamic editor interface. Various templates assist you, allowing you to concentrate on the content instead of the format. Supported formats include business cards, Bluetooth connection handover tags, geo tags, LaunchApp or social network tags. Once your message is finalized, write it to as many tags as you like. 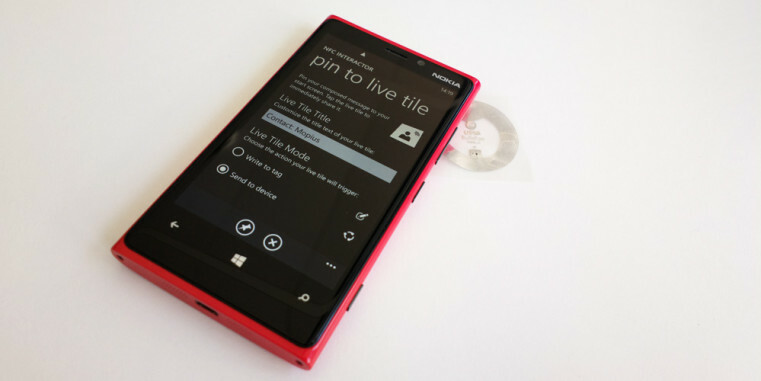 Pin your favorite tag compositions to live tiles for instant tag writing or sharing. For example, create & customize your business card with NFC interactor, pin it to a live tile and share it to your friend’s phones with a single tap! Tap and hold on a parsed message to open its contents in the composer for editing. Alternatively, you can directly clone an NDEF message from one tag to another. 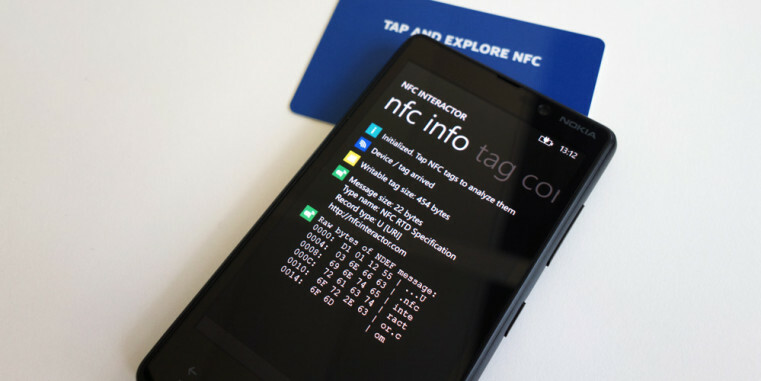 In addition to writing tags, you can send your NDEF messages to another NFC device. Compose the message as usual, and then tap the “share” button. This is a great way to test how other devices react to any kind of message that you created within seconds! For professional use, you can view raw NDEF message bytes, import complete messages from .nfc files or a hex string, save them for later re-use, share message details via email or use the custom record editor to manually specify type name format, type and payload. 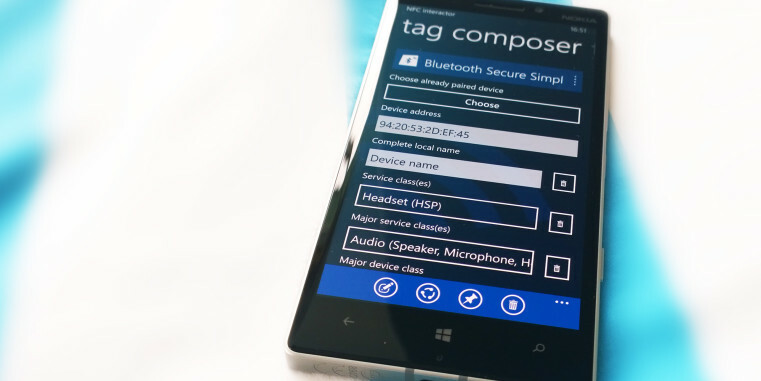 Additionally, NFC interactor is the only app for Windows Phone that allows creating multi-record NDEF messages. 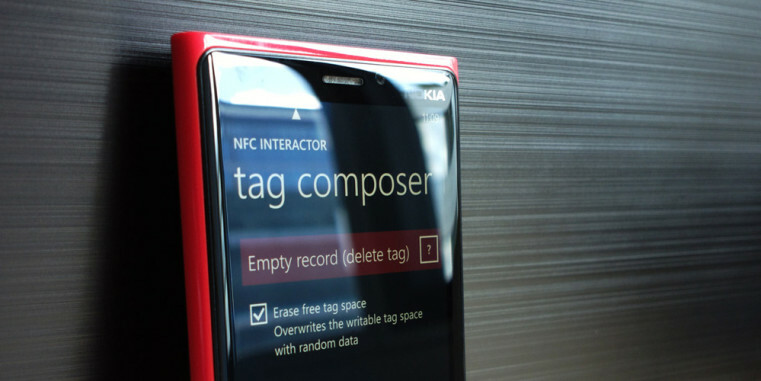 When you need to erase a tag, NFC interactor can optionally overwrite the complete writable tag memory area with random data, to ensure the old contents can’t be extracted using low level tools. 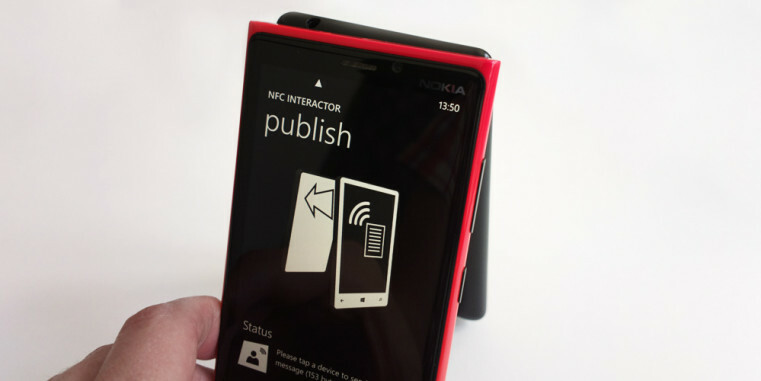 NFC interactor was one of the world’s first Windows Phone 8 apps and is available in the Windows Store! Its heart and engine, the C# NDEF parsing and composing classes, is available on GitHub under the open source LGPL license. In addition, NFC interactor is available for Symbian and MeeGo Harmattan (Nokia N9). Its Qt source code is released under Nokia Example Code license. 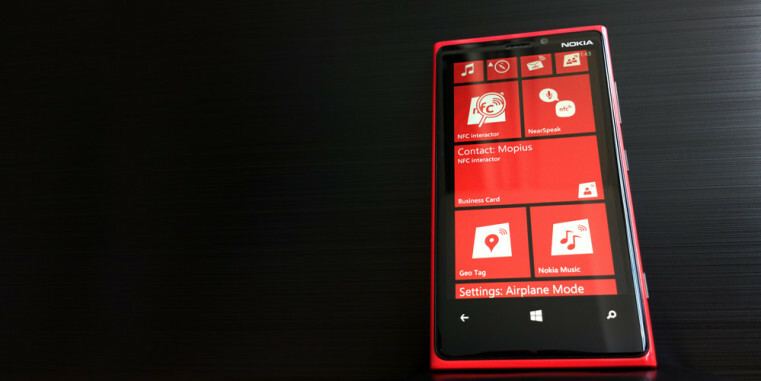 Read more about the features of the Windows Phone app, of the Symbian / MeeGo app, or go right to the download page.